At Mazi Salon, we want to make your salon experience as unique and memorable as you are. The mission of our hair salon & permanent makeup clinic is to consistently bring you the freshest styles and ideas. We keep up with current trends and constantly educate ourselves about the best practices. We promise to pay close attention to the details of your service, maintain the highest standard in the cleanliness of our salon, exceed your expectations, and keep you coming back for more! Although all of our beauty services are the best quality in Glendale, California & Los Angeles, we offer affordable prices. Our Hair Salon in Glendale, CA proves its quality in various ways. 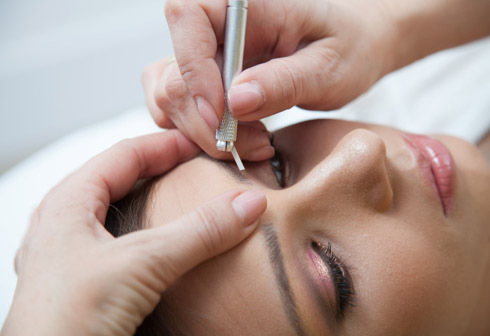 Many of our clients never go to other hair salons or permanent makeup clinics. Due to the fact that they are so expensive, yet do not provide the same quality beauty results like we do. We offer the best prices on hair coloring, hair extensions, permanent makeup eyebrows, microblading, threading, makeup & more. "PEOPLE LOVE US ON YELP" See Our Reviews On Yelp! In addition to our services, Mazi Salon beauty products for sale online & in store. Our Glendale Hair Salon & Permanent Makeup Clinic carries many of the highest quality beauty products & brands. From all the hair salons in Glendale CA, we are the only ones that carry Pai-Shau Beauty Products. Make the right choice & choose Mazi Salon for your hair & makeup in Glendale, CA now!